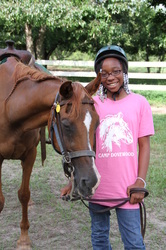 Camp Dovewood is more than a recreational camp; it is a learning environment where future Christian leaders can cultivate their talents for God's glory. 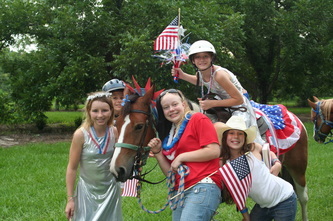 With over 24 fun-filled activities to choose from, campers can select what they love to do. 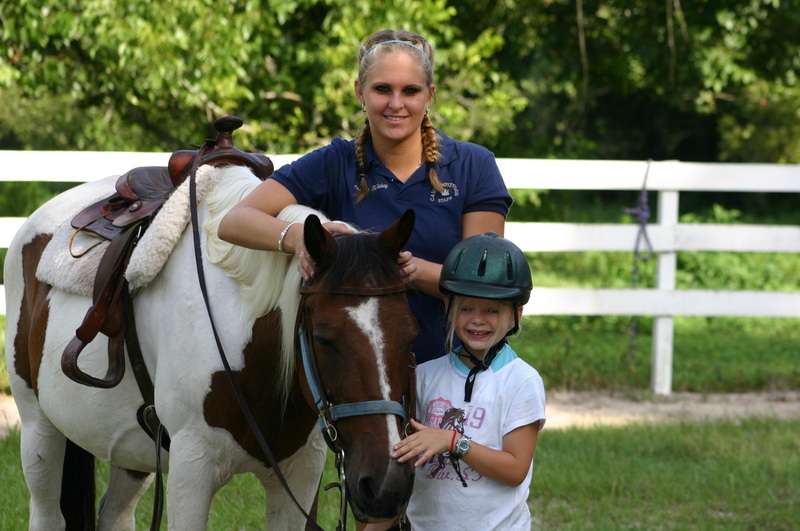 Grooming and Stable Management is a class that gives girls a chance to learn how to bridle and saddle a horse, groom, learn basic horse first aide, as well as how to get a horse ready for a show. Riding classes offer English and Western instruction as well as Freestyle first level dressage exercises and rodeo instruction taught by CHA certified instructors. Vet care is taught by a local veterinarian. In Swimming, our two certified lifeguards teach strokes as well as offer ways to make each girl a stronger swimmer. Our Art classes offer unique instruction in pottery, crafts, jewelry making and drawing lessons. Tennis is taught on two full size courts with one certified tennis instructor. Softball is a fun-filled class as girls learn stance, catching and throwing techniques. Music is a favorite of many of the girls as voice instruction is given as well as a chance to perform in front of parents with their instrument. Girls learn what Christian songs they like and how to project their voices. We have two certified archery instructors. 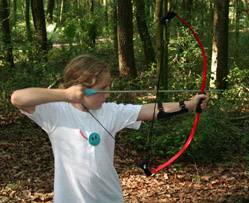 Girls use curved and compound bows. Ballet: basic ballet fundamentals are taught. Bring your ballet slippers, toe or tap shoes. We do creative praise dancing, get a chance to choreograph dances and perform for parents on Competition Day. In Gymnastics girls get one on one instruction on the mats! Soccer is a great way to get in shape, work on being a team player as well as learn techniques from varsity instructors. No need to bring your own baton to camp as we have plenty of batons and flags as well as excellent baton instructors. Great Books is an awesome class featuring great Christian fiction and non-fiction books. Girls read one or two books each session and discuss characters, theme, and how relevant the book is to their daily life. Our volleyball class is taught by two trained volleyball instructors who help each girl learn to serve, set, score the game and most of all enjoy the sport. Drama is one of our very popular activities as girls learn several skits , work on props, ways to project their voice and develop great self-esteem and ability to speak in front on a group. Cheerleading is taught by two college varsity cheerleaders who help the girls learn cheers, stunts, and become confident on the field. Bible is loved by girls of all ages as they relate the Word to their lives and enjoy learning more of how they can live the Word, not just read it. River Rafting, photography, water ballet, help feed the horses, recreational swimming, and Christian Leadership Classes are all part of the many fun-filled activities offered at Dovewood!